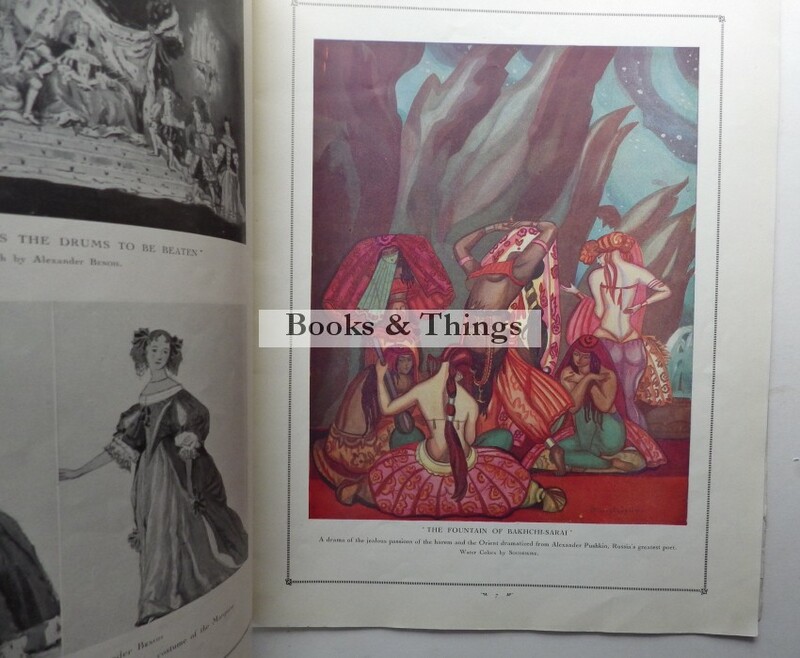 Balieff’s Chauve-Souris: Numerous illustrations, mainly colour. 28 pages, 315 x 245mm; pictorial wrappers (some small abrasions). 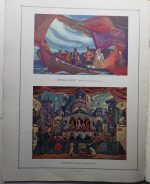 Illustrations by Alexander & Nicholas Benois, Soudeikine, Vassily Schoukharff, Ilia Repine, & N. Remisoff. Strand Theatre c.1921. 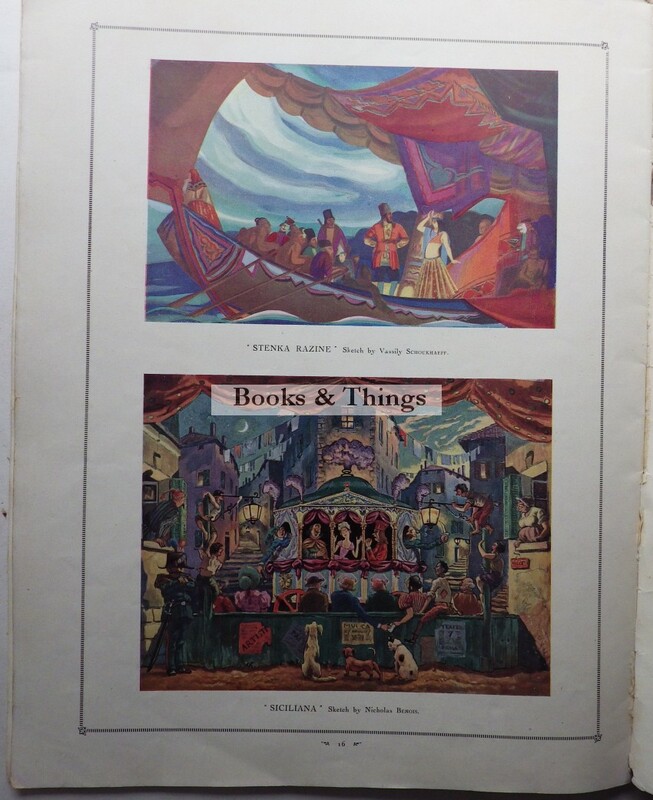 Category: Programmes. 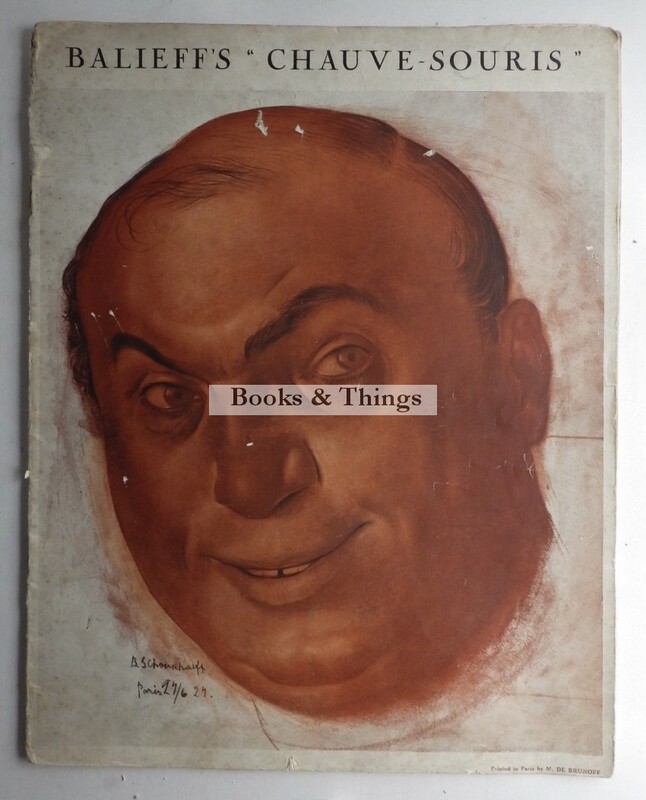 Tag: Balieff's Chauve-Souris programme.